Contact | Beaver Island Brewing Co. 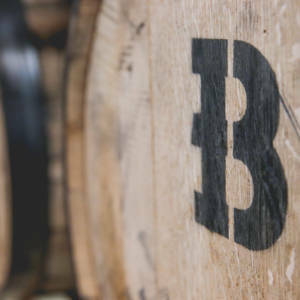 The Beaver Island Brewing Company Taproom is the perfect venue to host your next event. With seating for 75, it is ideal for company outings, birthday parties, brainstorming, and any other damn thing you need a space for. Rent the whole taproom or reserve a few tables. You are welcome to have the cuisine of your choice catered in. Call or email to reserve your space today. We absolutely welcome well-behaved dogs on the patio, but sometimes we run into dogs that are disruptive or we have some customers that are genuinely afraid of dogs, no matter how kind they are. If a situation should arise, you may be asked to take your dog home. 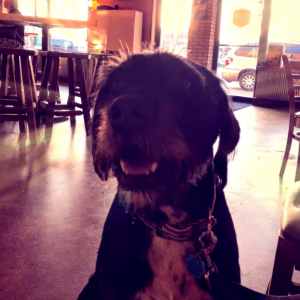 So in short, we welcome dogs, openly on the patio, and on a case-by-case basis in the Taproom. We’re a brewery that is obsessed with the art of brewing, and aren’t afraid to work harder than the other guys. At the end of the day, this is about respect – for the ingredients, for the tradition, and for the vision and experience needed to turn it all into the perfect beer. Call or email us to schedule a brewery tour. Friendly and helpful staff who give lots of info about their beers, which are all very tasty. 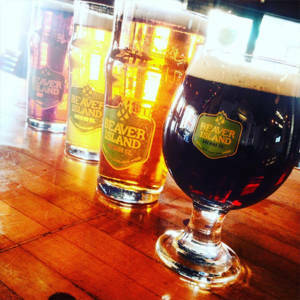 We love craft beer & Beaver Island. Over the last several months we have visited & sampled other craft beers in the area. There is hands down, no establishment or beer that comes close to the Beaver Island Brewing Co.
Beer is amazing. This is a small operation and all the owners are great to talk to. had a work outing here recently and they are more than accommodating to have you and your party here. What a fantastic place! The guys who brew and run Beaver Island clearly are so passionate about their beer. As I stood sipping, one of the tenders told me all about how they figured out how to zest several hundred grapefruits for one of their brews. Here I was, sipping on a brew he made! That doesn’t happen everyday. Their beer is my absolute favorite. They have been giving back to their community since day one — how lucky we are to have this gem here in St Cloud! Simply awesome people and good beer….always involved in the community outings and DeLux Liquors events for sure…so happy to have partnered with them and sell their beer…top notch all the way around. Phenomenal beer. Great atmosphere. Phenomenal owners/staff that are constantly giving back to the community. Always love just about anything these guys brew, but now Revival…….My favorite! Fun place to hang out and the beer never disappoints – great rotating seasonal selection. Staff is friendly and helpful. The beer, atmosphere, and staff are awesome! Definitely hit this place up if you are in St. Cloud. Great service and great atmosphere! First time there and definitely will be back! Great beer, Great atmosphere, Great people! Cheers! This place is the greatest. Nice people, great beers, a bike rack, and even a fixit station. Check it out. Great beer! I love that this business is always supporting their community and helping with various fund raisers. Kudos! Absolutely love Beaver Island beer and even more so the creators of this brew/brewery! Great beer, great staff, great vibes! Yum! Fantastic beer. Wonderful staff. I will always have a soft spot for Beaver Island Brewing. We stopped by for a very impromptu tour and flight. Needless to say that I found the first beer I’d ever liked here. Their Ripple is a wonderful beer. The bartender that gave us the tour, info and helped us choose our flight was amazing. I still haven’t had a chance to go and relax at their location just to have a beer (or two), but I know that they will be as awesome as they were on my first visit. Great beer, great people, great place to be! Our community is lucky to have Beaver Island Brewing Company. Their generosity and support of multiple programs has made a positive difference in the lives of so many. Awesome beer, I like hoppy and my husband likes a lager-type brew. We were not disappointed! And oh the music! Fiddles, guitars, bass, mandolins and good singing. A regular ole hootenanny…fun, fun, fun! Overall, Beaver Island Brewing Company is a great place! Most importantly, the beer is fantastic! I don’t consider myself a “beer expert” by any means. But I can certainly sense the quality in Beaver Island’s creations. The atmosphere is warm and welcoming, and the staff is knowledgeable and eager to help! The location is a little odd, inside of an aged strip mall. However, once you enter the facility, the interior makes you forget the odd surroundings. Also, there is a patio for those who crave the outdoors. Some of the best customer service I have ever received and really tasty beer. I love craft breweries, and love when the entire staff is passionate about their craft! These folks are doing it right. Friendly staff and a wide variety of different beer styles. They have a nice outdoor patio for the summer months. Fantastic! Had a flight and LOVED EVERY ONE! The bartender gave us personal service and told us all about each beer. Great atmosphere great beer at great prices. Tried the Sweet Miss Beer on tap at the Lutsen Resort Pub. Tasted great! After I commented about it to others in our group, several others tried it and all said it tasted great. Will check local liquor stores to see if it is available in Cook County. Went to check out this tap room last night and found it to have a cool and relaxed atmosphere (and it was filled with people). I was educated by the staff about their different brews and I sampled each beer. I was there with two “non-beer drinkers” who raved and sipped on The Union Suit brew all evening and one even bought a growler to go. I think that is the key to a successful start-up…turn the “non-believers” into your regulars. Great place. Great beer and good atmosphere. Recommend if you’re in St. Cloud and looking for a great place to grab a drink.